Since Bhartiya Janta Party (BJP,) has assumed power in Delhi, India has been experiencing a paradigm shift in its culture and polity and has been in lime light globally. This is not an accidental or a sudden shift but has a long history and philosophy behind it, the history and philosophy of Hinduisation and saffrinasation. The credit must go to Modi, led BJP government which is translating all this into reality and makes India to flash in news headlines globally. It is not a modest development but a growth that India has been unable to bring even after more than 60 years of Independence. India has never been in global news and debates as it has been since BJP came into power. These are the fruits of dedication and hard work displayed by BJP that global audience gets every day news columns and analysis on India about which they had never read and discovered earlier. The transformation of Indian society, growing intolerance, safranisation and Hinduisation, has produced shadow of suspicion over all the theories and narratives of secular, tolerant, democratic, and diverse India. There is a paradigm shift about Indian society and polity at global level. Since BJP, came into power it has been very busy in producing one after another thrilling and sensational themes that not only changed perception of people about India but brought “appreciation” for BJP from saffron elements. Since Modi, took oath to become the 15th Prime Minister of India after thumping majority in 2014 India has been turning saffron to red. The Ghar Wapsi campaign, Beef ban, attack to status of minority institutions of country, Promotion of Sadhus , sadhvis and babas, Change of Menu in public airlines, attack on churches, intolerance, interference in the working of educational institutions, promotion of anti minority elements throw national awards, harassment of Schedule castes and tribes and forcing them to take extreme steps and so on is part of the process and programme to transform India from saffron to red. The recent episode and programme in Jawher Lal Nehru University (JNU) is a part and parcel of this programme, the most calculated and dangerous move. JNU is one of the prestigious institutes of the country, globally known for its quality of education and contribution for the country. It (organization of the event) is not something new and took place first time in the campus, JNU is famous for such events and programmes. Such kind of programmes and events in the campus makes the university different from other universities of the country. 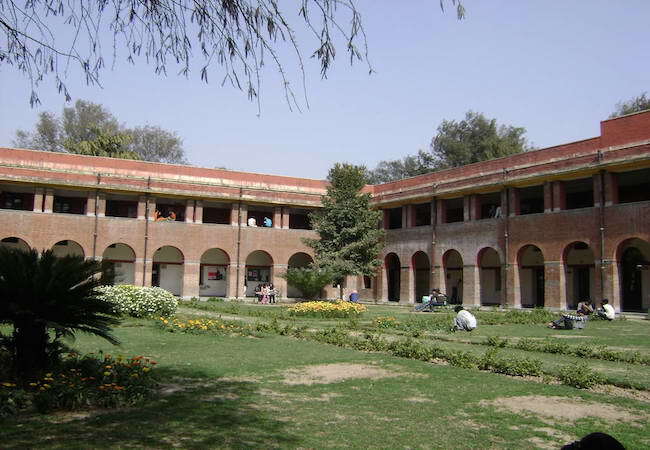 It is with such kind of events and programmes that JNU has been known for imparting real education and invoking scientific quest and temper among students, otherwise there are many other huge campus with much large students enrollment, Aligrah Muslims University and Jamia Millia Islamia are instances. However, these institutions lack student activism. Students in these institutions are tamed and domesticated with installation of dictatorial Vice Chancellors most of them having military background. JNU is the only university of the country which has been showing the path to democracy not to students but teachers also. The recent move is to tame students of the varsity like other university of the country. It is really time of test for the academicians, intellectuals, human rights activists, social workers, secularists, and upholders of democracy…. In this time of test every peace and education loving persons need to stand together and save the university from saffronisation. Lastly, I would like to make the point that I have deliberately skipped the legal angels of the move (post event developments) – curbing student movement, arrest of students and their union leader and slapping seditious charges on them for two reasons. Firstly, there is no legal ground to discuss the legality of the arrest as it is totally illegal. In Keder, Nath Singh’s case 5 judges of the apex court of the country have made it clear that seditious speech and expression is only punishable if it is an incitement to violence and public disorder. In the recent event there has been nothing, except indigestion of truth to anti- democratic elements and display of intolerance on the part of BJP. Secondary, police, law, and other state apparatus are nothing but to curb the dissent, domesticate, tame and colonize the populace and enslave them morally and mentally. It is the second aspect which is the most important and everything revolves round it and is hidden agenda of the whole episode. Dr. Fayaz Ahmad Bhat is head of the department and teaches Sociology at Government Degree College Banihal Jammu and Kashmir. Dr.Fayaz is MPhil, PhD, NET in Sociology besides having Masters in Political Science also. He has completed his Doctorate degree from Jamia Millia Islamia a reputed Central University of India. He has also been awarded centrally administered Doctoral Fellowship by India Council of Social Science Research.